CITY SONAR BAND’s debut performance at ACC Rendezvous. This talented young group has prepared some of your favorite party songs along with the all-time hits, cleverly combining their own re-mix style with a fresh new sound. Very appealing arrangements that are sure to get your attention. 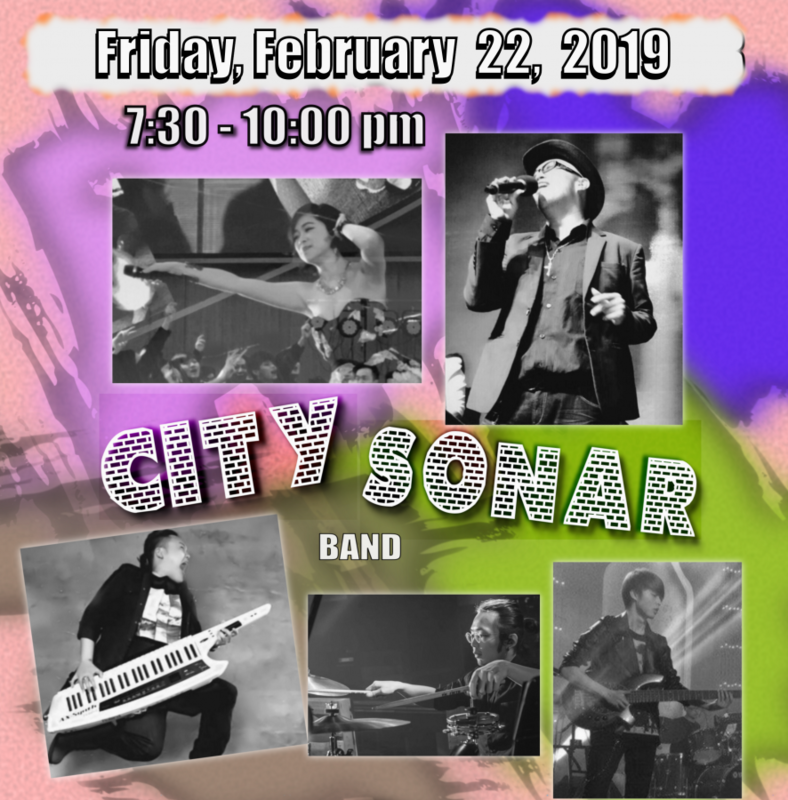 From vintage classics to modern hits, spiced up with fusion jazz and some upbeat funk –CITY SONAR is looking forward to their Friday night debut live music performance at ACC Rendezvous.